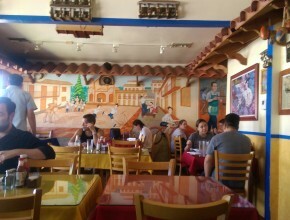 Finally, we have found a delicious, affordable, Colombian restaurant hidden in North Hollywood also known as “The Valley”. 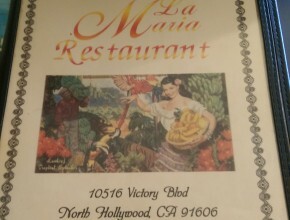 La Maria Restaurant resembles a regular home, so if you are driving down Victory Blvd pay attention as you can easily miss it. 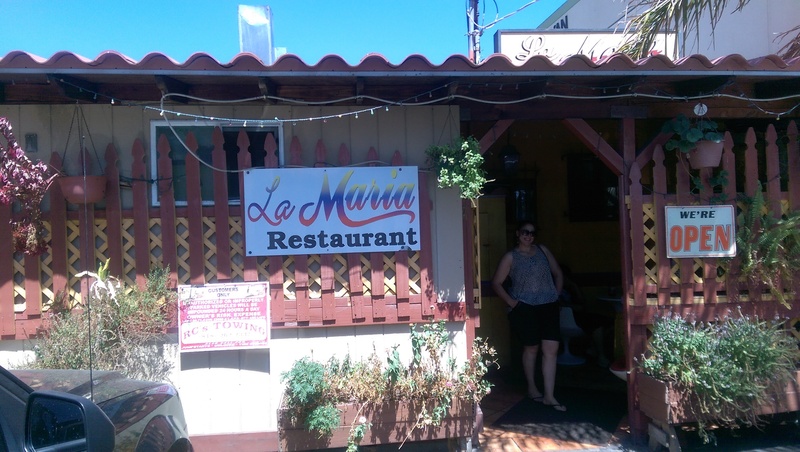 La Maria offers parking in the back of the building which also has an entrance and benches for customers to sit while they wait incase there is no seating inside. 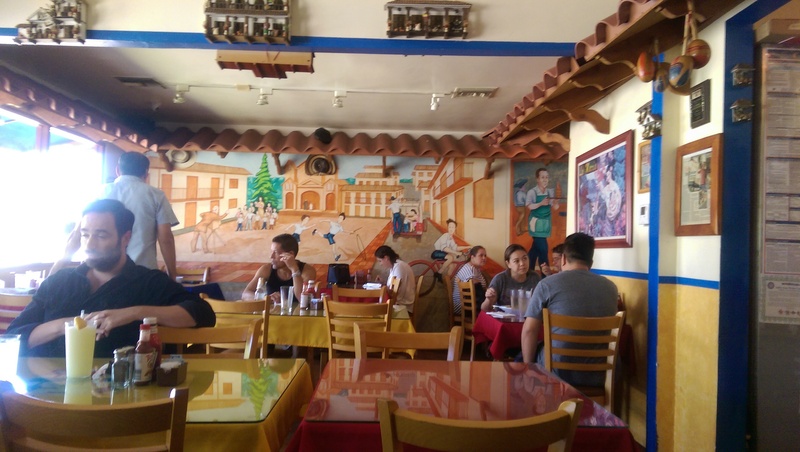 If you’re concerned about the wait time, we have visited this establishment various times and we have always been seated rather quickly. 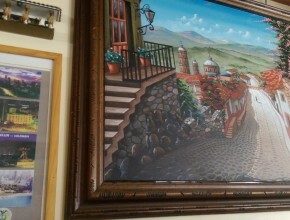 The restaurant it self has pleasing art décor all related to their Colombian roots. 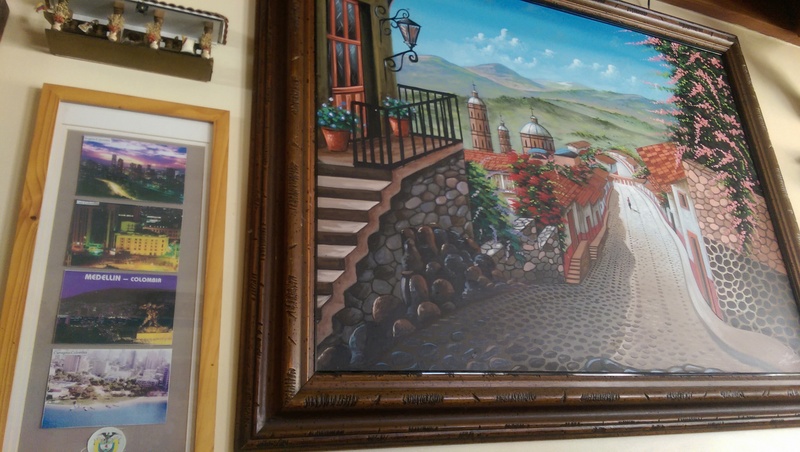 There are beautiful murals along the walls and frames hung up throughout the restaurant with paintings and articles regarding Colombia. Hold on to your taste buds! 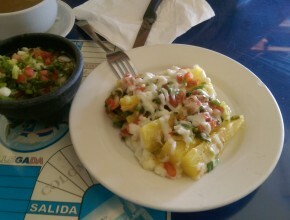 Served as an appetizer this small dish consists of steamed Yuca topped with green onions, fresh tomatoes, and melted mozzarella cheese. For only $4.99 this appetizer is the appropriate way to start a meal. 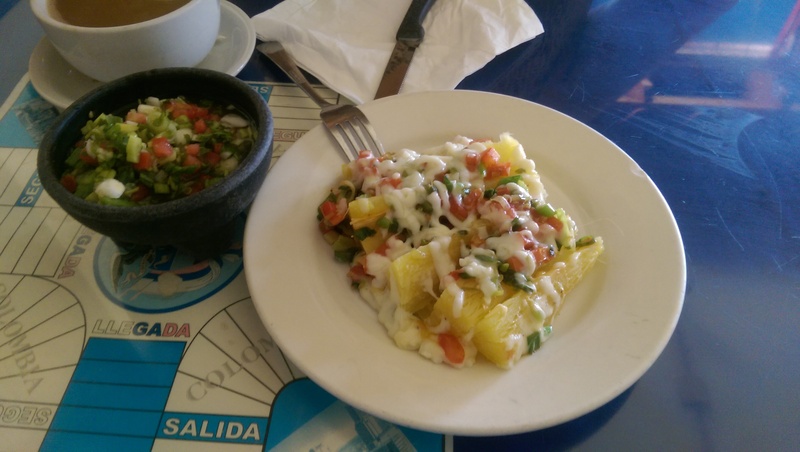 One of three house specialties, this dish satisfies all cravings. 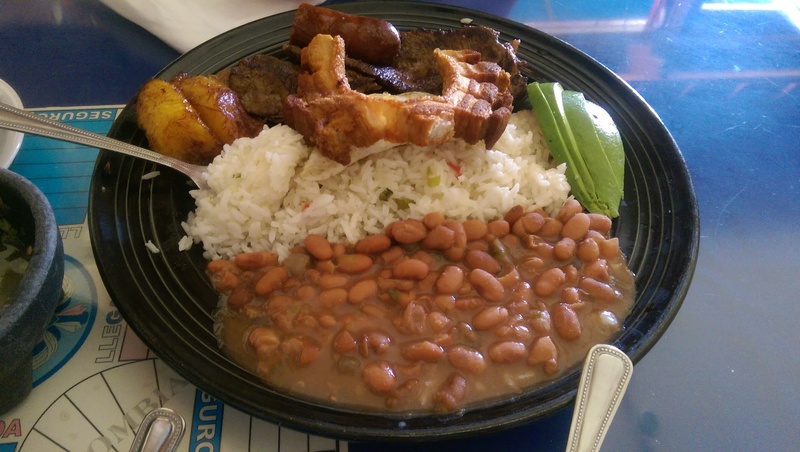 Grilled steak, rice, beans, fried pork skin, chorizo, one egg & fried plantains. All for the prize of $13.50. For such a huge dish the price is an amazing deal. Not fond of spicy food? 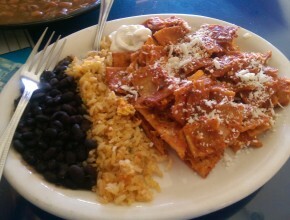 These Chilaquiles are more on the flavorful side rather than the spicy side. 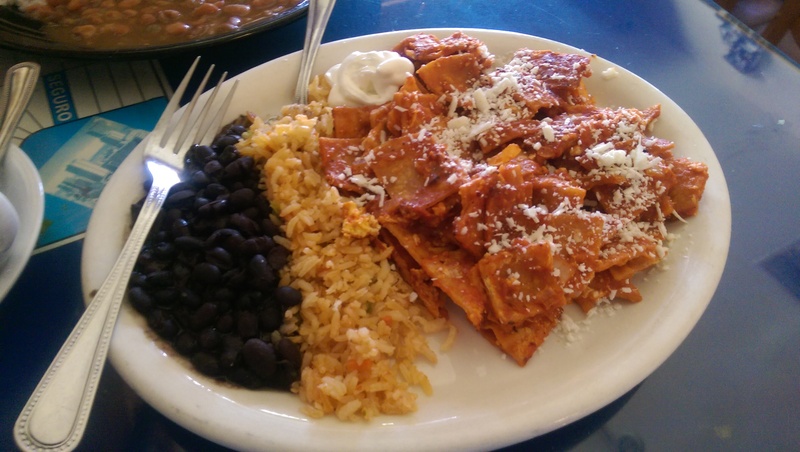 Corn tortilla chips, with a special twist on the classic chilaquiles, with a scrambled egg and cotija cheese. 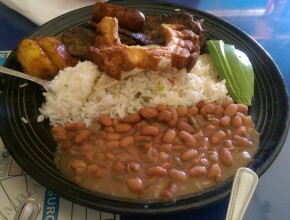 They are served with black beans and rice. 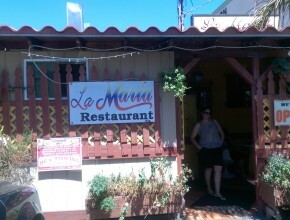 La Maria has a special section in their menu for those new comers who may be more comfortable with familiar dishes. 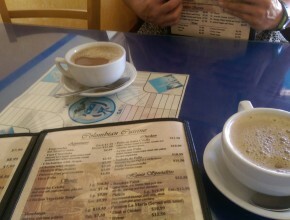 Their menu titled “Cusine of the Americas” has dishes more commonly known to Americans. However, we highly suggest you skip this menu and try something new, allow your taste buds to travel to a region you are not familiar with. 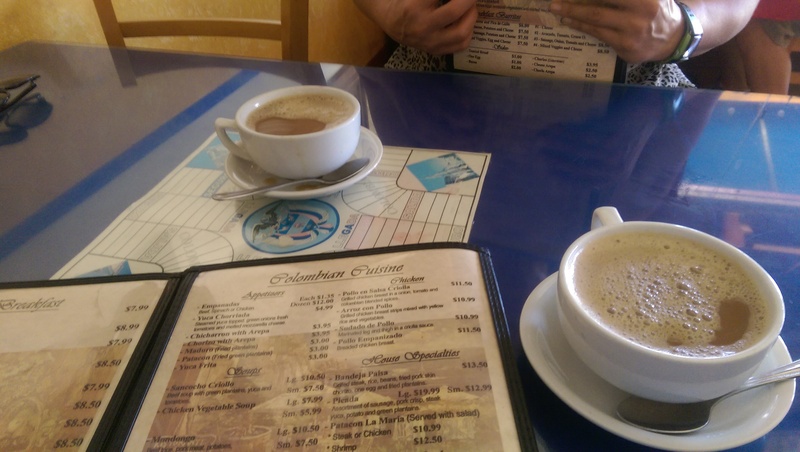 Don’t forget to order some Colombian soda, coffee, beer or wine. This restaurant doesn’t have a happy hour special but everything is more than affordable which already makes for happy customers. 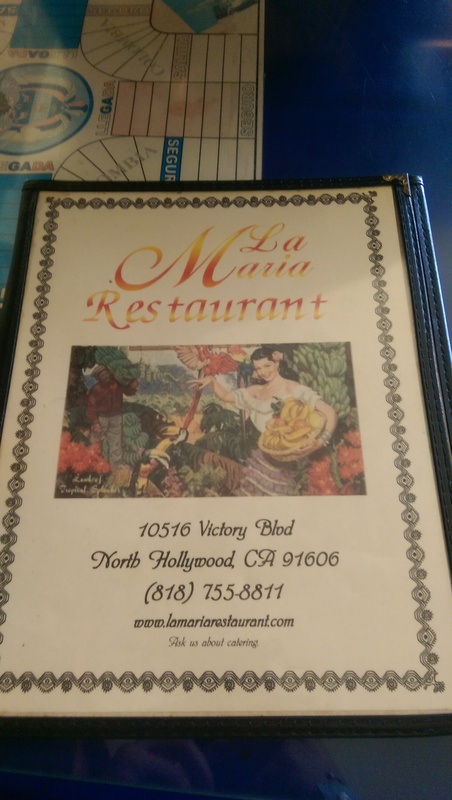 Make your way over to North Hollywood on your next visit and let us know what you think of La Maria Restaurant!